Obituary for Donald Ray Palmer | Munden Funeral Home & Crematory, Inc.
Donald Ray Palmer, 71, of Havelock, passed away Saturday, February 2, 2019, at his home. His funeral service will be held at 11 a.m. on Tuesday, February 5, 2019, at the Munden Funeral Home Chapel in Havelock, officiated by Dr. Donald Hadley. Interment, with military honors, will follow at Forest Oaks Memorial Gardens. 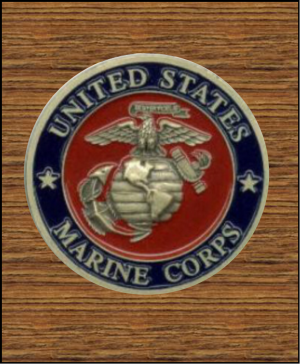 Donald proudly served in the United States Marine Corp for 24 years. He was an active member of the community and was involved in numerous groups including the NRA, DAV and VFW. He loved the Lord and was a faithful member of First Baptist Church in Havelock. Among his other interests were the AMA Flight School in Newport and participating in activities at the Senior Citizens Club in Havelock. He is survived by his wife, Jackalee Palmer of the home; daughter, Amanda Beth Scroggins of Jacksonville, FL; son, Jeffrey Scott Palmer and wife Tara Katherine Palmer of Havelock; brother, David William Palmer and wife Jeanie Adickes Palmer of Jacksonville, FL; and grandchildren, David Wayne Scroggins, Brandon Scott Palmer and Reagan Nicole Palmer. He was preceded in death by his parents, William Ray Palmer and Adeline Palmer. Family will receive friends from 6 p.m. to 8 p.m. on Monday, February 4, 2019, at the Munden Funeral Home Chapel in Havelock. In lieu of flowers, memorials can be sent to First Baptist Church “Steps Fund” at 111 Hollywood Blvd, Havelock, NC 28532. Arrangements are by Munden Funeral Home & Cremations in Havelock, NC.